Bees are extraordinary animals. We rely on bees for the pollination of over 70% of our food crops in the global food supply, so they are essential for our existence. 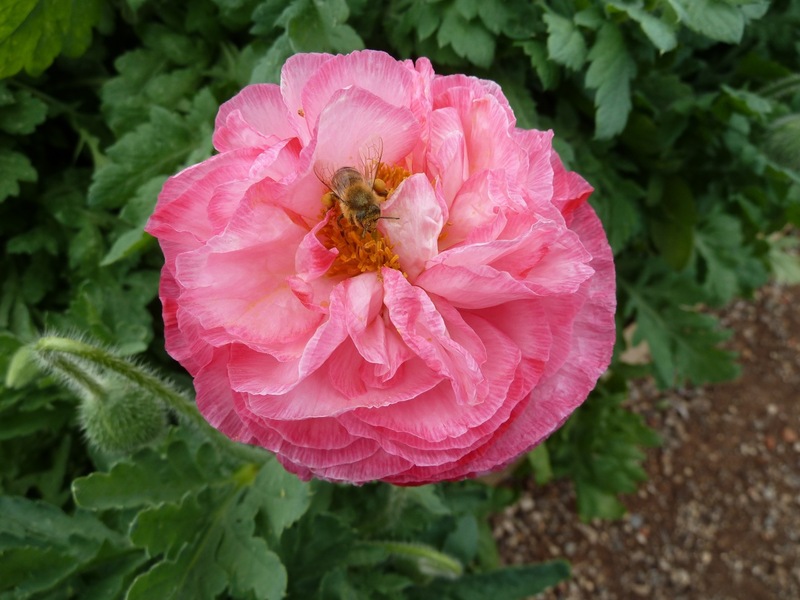 No pollination, no food. Simple. Colonies of bees have been diminishing worldwide in alarming rates in recent years, which should be of great concern to us all. The Varroa mite, along with certain crop fertilisers, insecticides and other human-made chemicals, are to blame. You can read more about the bee problem in this CNN article. Susana Soares’ glass diagnostic tool. Photo credit: Susana Soares. What does this have to do with perfume, or the sense of smell, you may ask? Well, it seems that this essential species isn’t just good at helping humans to stay alive by pollinating our food crops. They may also be able to help detect diseases such as certain cancers, tuberculosis, and diabetes, in their early stages, and therefore help save lives. A bee’s sense of smell, more than 100 times more powerful than ours, can detect changes in the odour of human breath that occur when these diseases are present. Designer and artist Susana Soares has designed a series of devices for detecting these illnesses, in collaboration with Inscentinel UK, a biotechnology firm. 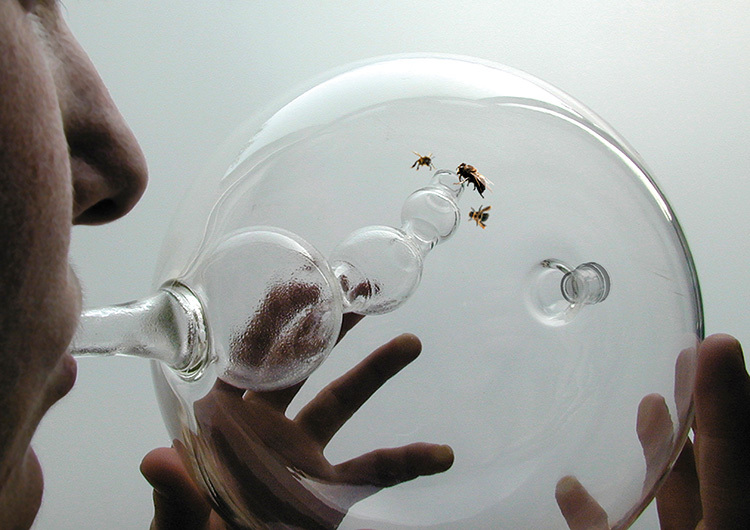 They are simple, yet very beautiful glass objects that consist of two chambers: the main chamber that the bees are in and which the person breathes into, and a sub-chamber that the bees move towards if they detect any bio-markers of illness in the person’s breath. The bees have been trained, Pavlov-style, using sugar treats as rewards, to detect certain smells (pheremones) that only exist in the breath when these illnesses are present. You can read all about Susana Soares’ amazing devices here and also over at her website, where there is a more detailed explanation of the processes she used, her research, the collaborative process, and how the bees were trained. Yesterday I revisited the Chandler Burr scent exhibition, Hyper-Natural, at the National Gallery of Victoria (NGV) in Melbourne, Australia. 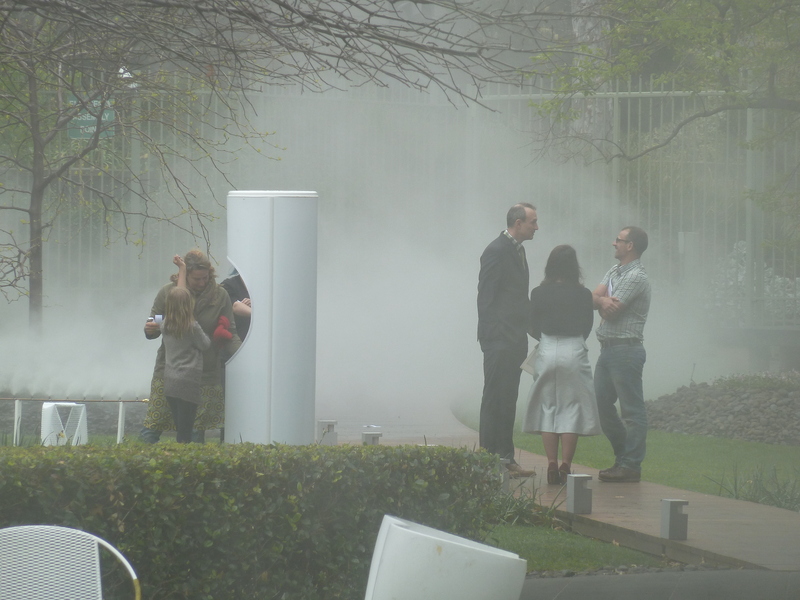 To recap, the Hyper-Natural exhibition showcases seven fragrances by Guerlain, presenting them in scent stations, or “pods” in the garden at the rear of the NGV. 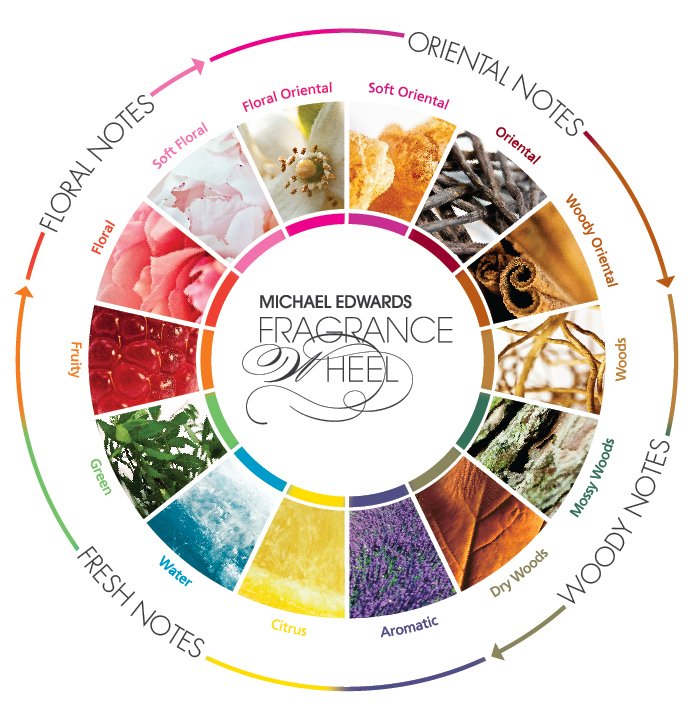 Each of these pods contains pools of each fragrance, and also the synthetic scent chemical (molecule) used prominently in each of these fragrances. 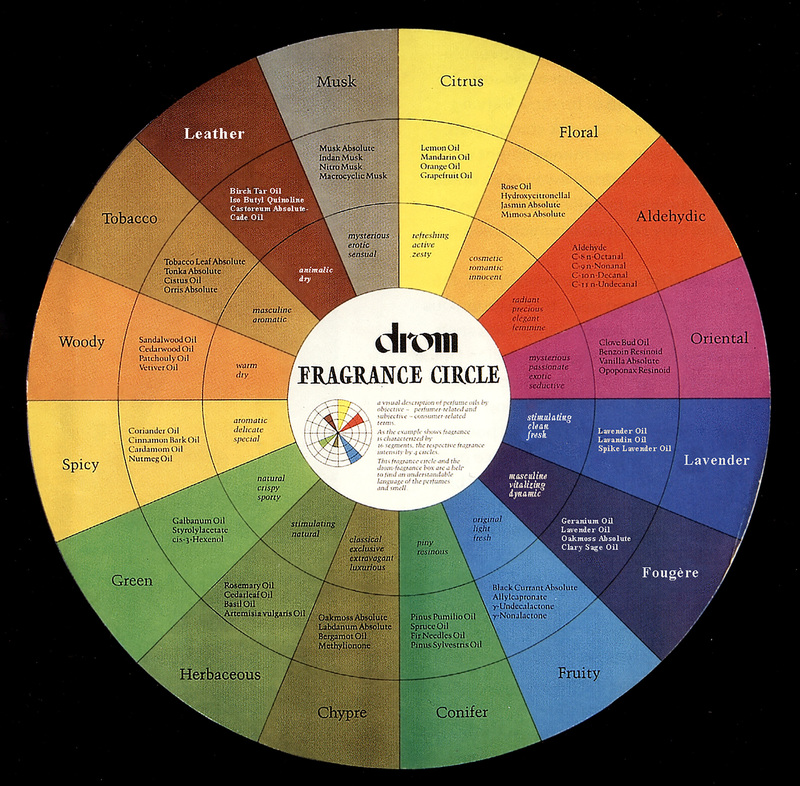 There is also some curatorial information inside each pod (which I draw from in this post) about each scent chemical and fragrance and the significance of the chemical and how it is used in the completed fragrance. I gave an overview of the opening events of Burr’s exhibition a few weeks ago, including the Keynote Address and a curator’s tour. You can read that post and see some great photos of Hyper-Natural here. You can also visit the NGV website to read about the exhibition. Today I want to talk about how Hyper-Natural smells. 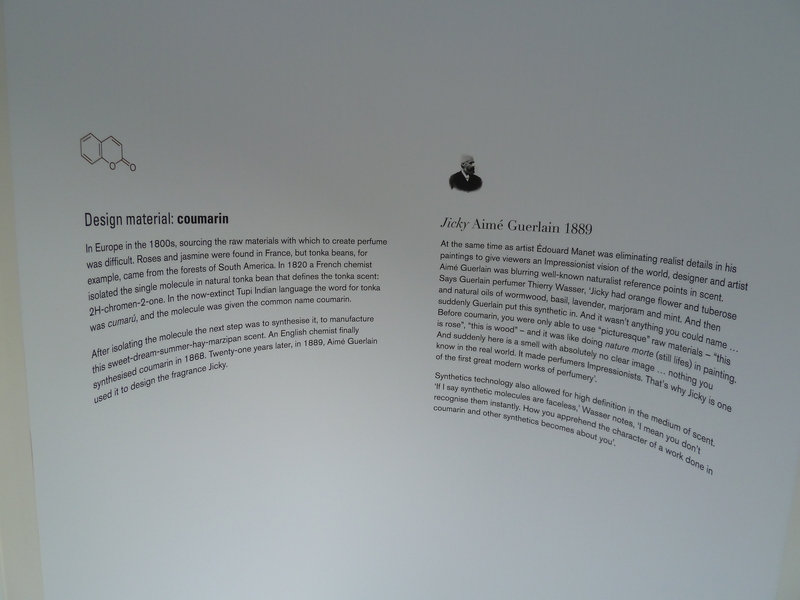 For those of you who don’t live in Melbourne or who don’t have the good fortune of being able to visit Hyper-Natural, I want to describe to you how the scent chemicals (molecules) in the exhibition smell. 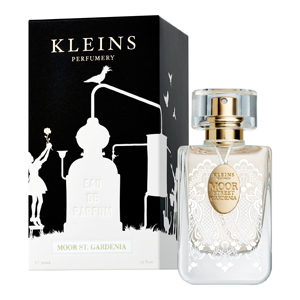 The Guerlain fragrances themselves are generally easily found in department stores and will be well-known to many of you, so I won’t spend too much time describing them here. 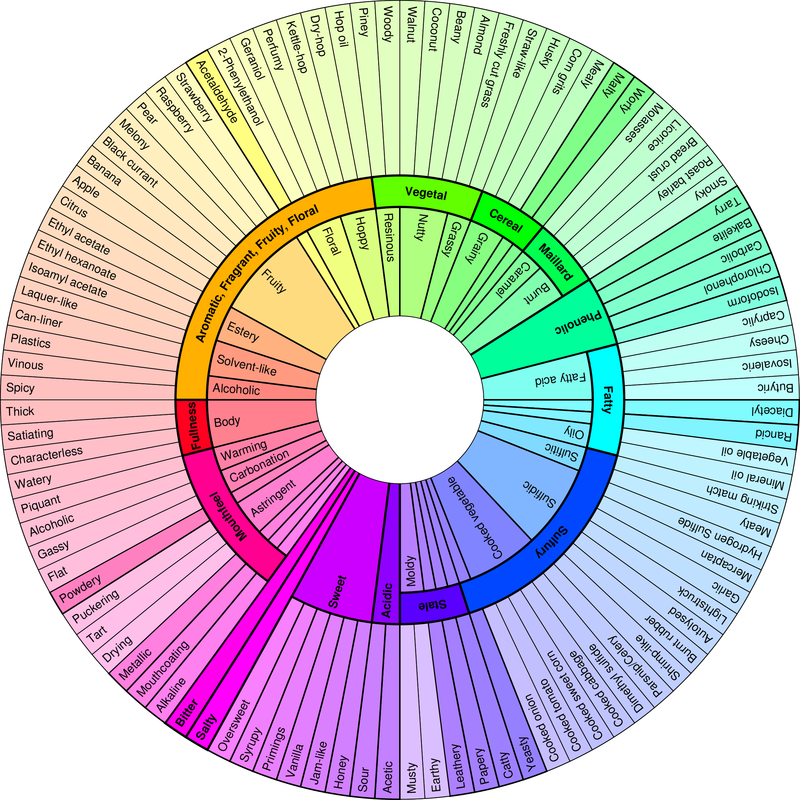 We don’t often have access to the isolated chemicals or ingredients used in perfumery, however, so it is a treat to be able to smell them and describe them to you, so you can share in the experience of Hyper-Natural. One of the scent stations at Hyper-Natural, with Chandler Burr standing to the right of the “pod”. Before heading out to the garden to sniff the exhibition, gallery patrons are encouraged to pick up a card containing tear-off strips to dip into each scent chemical and fragrance, to facilitate the sniffing process. Cards to tear off, dip and sniff. Coumarin is the common name for scent molecule 2H-chromen-2-one. It was created out of necessity, at a time (the 1800s, in Europe) when it was hard to source certain raw, natural perfume materials. 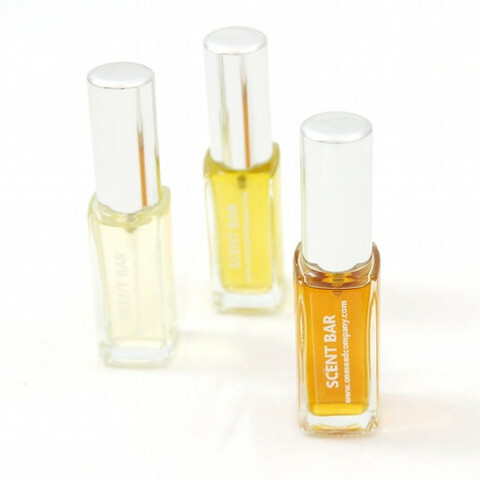 Coumarin is supposed to smell like the tonka bean from South America. 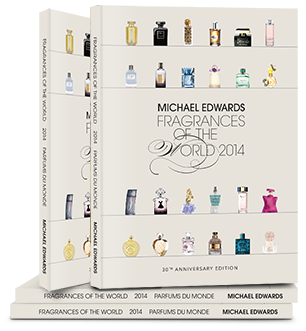 It was synthesised by an English chemist in 1868 and was used by perfumer Aimé Guerlain in Jicky in 1889. What does coumarin smell like to me? Coumarin does smell like tonka beans, an unusual ingredient I’ve been lucky enough to find and smell at a boutique spice shop in Melbourne called Gewurzhaus. I’ve also eaten it as a flavouring in white chocolate, where it imparted a soft, vanilla-like taste. For a scent chemical, coumarin actually smells very natural. It has a subtle almond, marzipan, creamy vanilla kind of smell. Ethyl Vanillin was created by chemists in 1872. It is described by Burr, in the curatorial notes, as a more powerful version of natural vanillin. This chemical is a good example of a “hyper-natural” smell: it’s like the natural smell that it references, but is amplified. Because of the strength of the chemical, Shalimar only uses 2% ethyl vanillin, yet the vanilla note in Shalimar, for those of us that know it, is very dominant, testifying to the strength of ethyl vanillin. Jacques Guerlain created Shalimar in 1925; rumour has it, he added a quantity of ethyl vanillin to Jicky to create Shalimar. 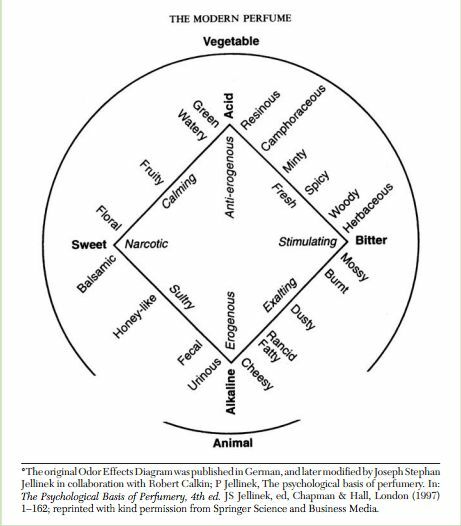 Whether or not the creation of Shalimar was this simple (there are other differences between the compositions of the fragrances too), Shalimar does smell like a more vanillic version of Jicky. What does ethyl vanillin smell like to me? Like coumarin, this scent chemical also smells very natural, but as Burr says, it is more intense than natural vanillin. To me it is a sharp, savoury, strong, natural-smelling vanilla. While this scent molecule is extracted from a shrub, it doesn’t smell particularly natural. At Chandler Burr’s Keynote Address, audience members had different ways of attempting to label this smell, with the general consensus being that the smell is strong, fruity, chemical, yet not particularly nature-identical (unlike coumarin and ethyl vanillin). In Chamade, perfumer Jean-Paul Guerlain balanced out the “oomph” of this synthetic ingredient with large quantities of similarly powerful ingredients such as blackcurrant and galbanum. What does sulfox smell like to me? To me sulfox smells like a slightly funky version of passionfruit, specifically the inside of passionfruit skin, after you’ve cut it open and eaten it with a spoon, crossed with a faint, chemical, burning smell, like that of burning rubber. Sniffing station 4: Polysantol / Samsara. 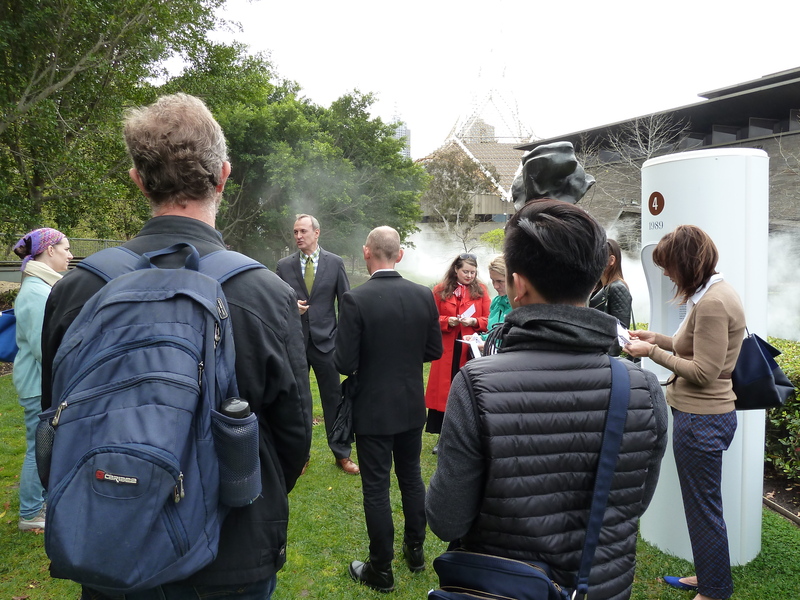 At the curator’s tour with Chandler Burr and the NGV’s Ewan McEoin. Mysore Sandalwood, much used in perfumery, has been over-harvested, leading to a world-wide shortage and the need to create synthetic versions of this very popular fragrance ingredient. Polysantol is just one of the synthetic versions of sandalwood to have emerged, which each representing a facet of the natural material, but unable to replicate natural sandalwood in its entire complexity. Burr considers polysantol to be an abstracted, streamlined version of sandalwood, stripped of its cedar and tar-like aspects. Polysantol is a starring note in Jean-Paul Guerlain’s Samsara, a gorgeously creamy, rich fragrance that combines faux-sandalwood and jasmine in a heady and comforting combination. What does polysantol smell like to me? Polysantol smells like a creamy, slightly fake version of sandalwood. It’s almost a little sickly sweet and too cloying on its own. 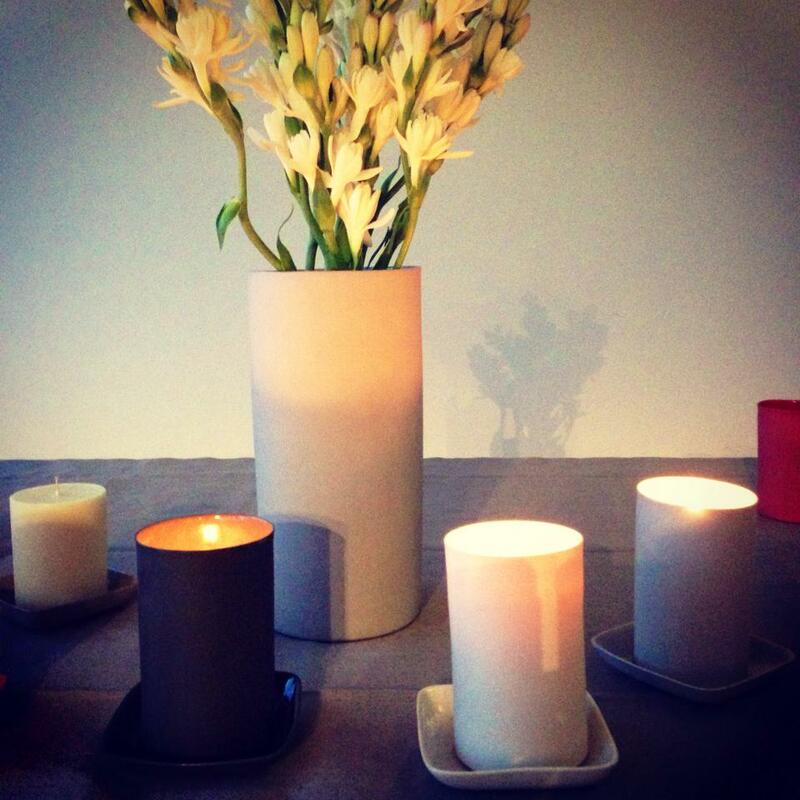 In Samsara, the jasmine provides a balancing counterpoint to this sickly aspect of the scent chemical. Cis-3-hexanol is a green-smelling scent chemical. As Burr explains in the exhibition notes, there have been other green-smelling scent chemicals before, but cis-3-hexanol is unique in that it smells strongly of cut grass, crossed with the smell of an unripe (green) banana. In Aqua Allegoria Herba Fresca, perfumer Jean-Paul Guerlain uses cis-3-hexanol in combination with other green plant smells, such as mint and green tea, to create a hovering, floating, fresh scent that most certainly references nature but is somehow abstract at the same time. What does cis-3-hexanol smell like to me? Cis-3-hexanol smells like a chemical, hyper-natural version of cut grass to my nose. It is also a tad earthy and hints at the cool aspects of crushed peppermint. I can also detect a faint burning smell in this chemical. This scent chemical is considered a “maple lactone”, and, according to Burr’s exhibition notes, is used “to generate sugary caramel notes without associations of fairy floss.” When perfumer Thierry Wasser was working on creating La Petite Robe Noire (The Little Black Dress), he wanted to represent the colour black in the fragrance. 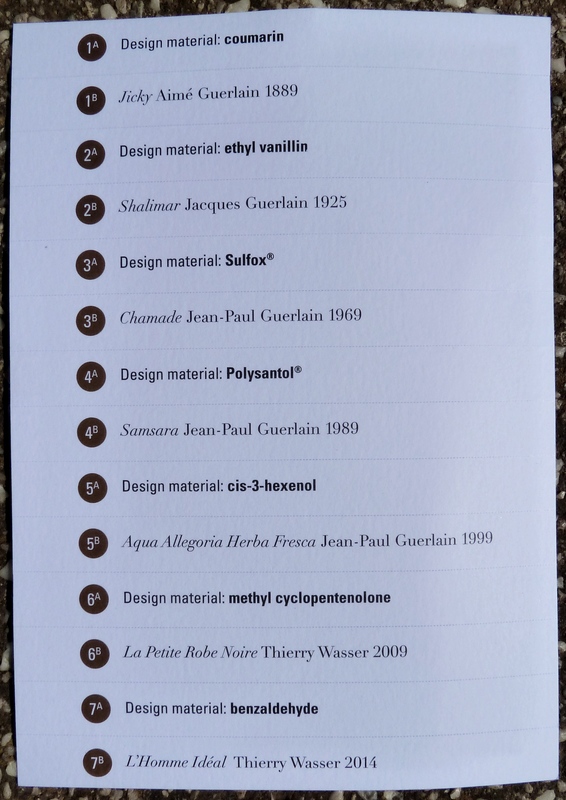 As methyl cyclopentenolone has a very deep, dark smell, Wasser chose to use it in La Petite Robe Noire. What does methyl cyclopentenolone smell like to me? Methyl cyclopentenolon smells like a deep, earthy, almost-savoury, synthetic maple syrup. It is a touch woody, and burnt-smelling, like a burnt-sugar topping on a crème brulée. Benzaldehyde has actually been around for quite a while, as far as scent molecules/chemicals go. 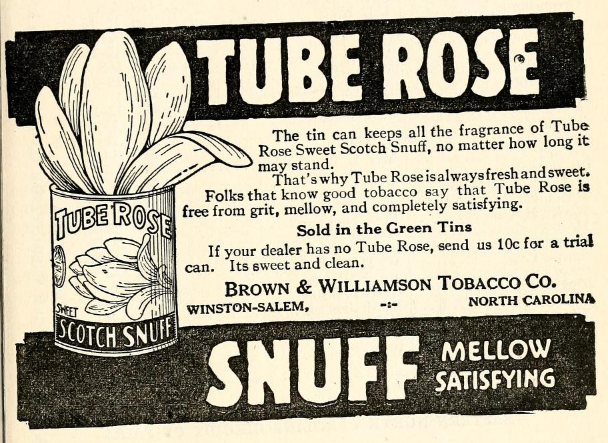 It was created in 1832, and is, according to Burr, notoriously difficult to use because of its intensely strong smell of bitter almond. In L’Homme Idéal, Thierry Wasser has balanced the intensity of this ingredient with coumarin (from Jicky) and ethyl vanillin (from Shalimar), no doubt rounding out its strength with these other, slightly softer gourmand notes. What does benzaldehyde smell like to me? Benzaldehyde has a glorious, rich, true marzipan smell. 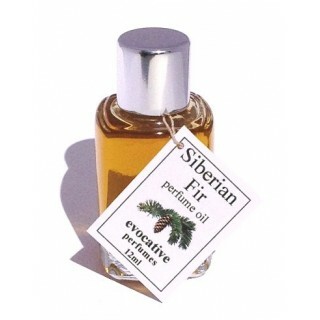 It’s a tad sweet and while it smells a bit like coumarin, is much richer and more intense. As I continue to smell it, after a few minutes I detect a strong cinnamon facet to this chemical. The aldehyde component (aldehydes give fragrance ingredients lightness and help them to “float”) helps to create an overall impression of a floating, hovering, sweet, spicy, cinnamon-infused almond tart filling. It’s incredible, dark, rich and gorgeous, and is my favourite scent molecule in this exhibition. I hope that this report of my own impression of these scent chemicals and a brief discussion of how they were used in the corresponding Guerlain fragrances has helped to evoke a sense of what it is like to experience Chandler Burr’s Hyper-Natural. 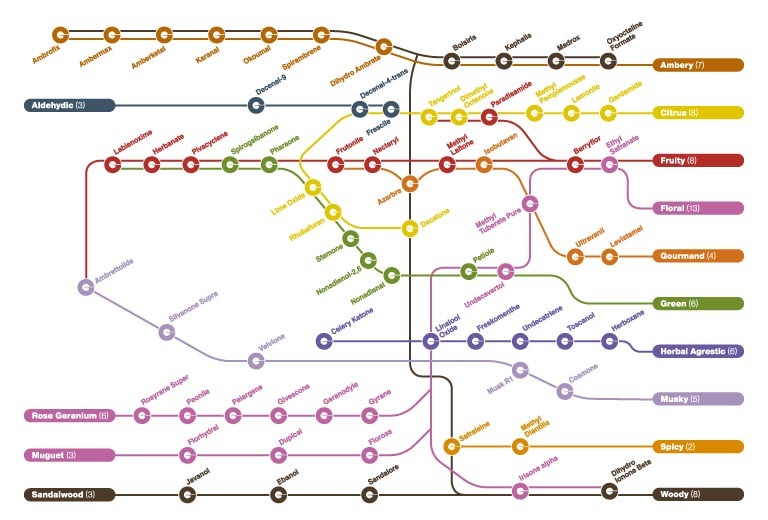 Have you been lucky enough to smell any of these scent chemicals yourself in another context? Have you been to Hyper-Natural, and if so, what did you think of these ingredients? What did they smell like to you? I’d love you to share your thoughts in the comments below. 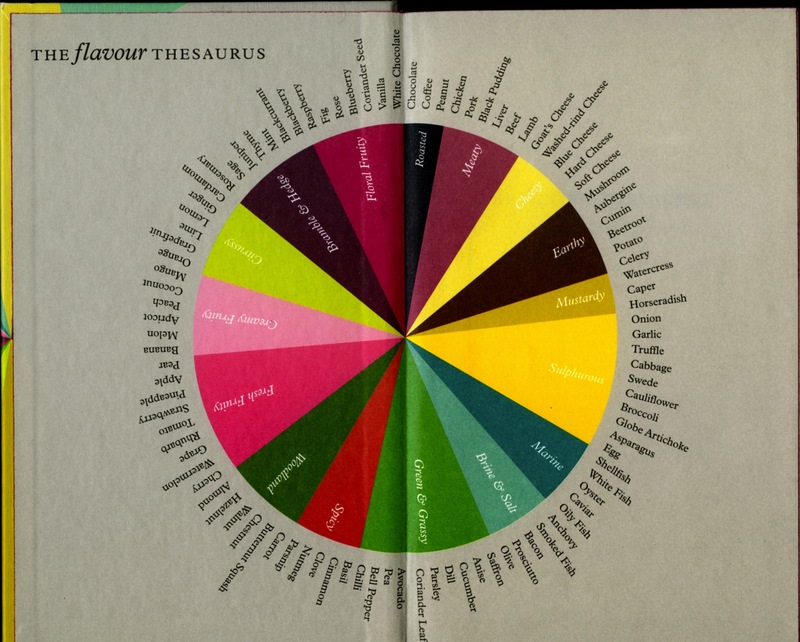 Bibliographical note: I drew upon the curatorial/exhibition notes from the NGV’s Hyper-Natural exhibition in order to write this report, however, the opinions stated about each scent chemical are my own. 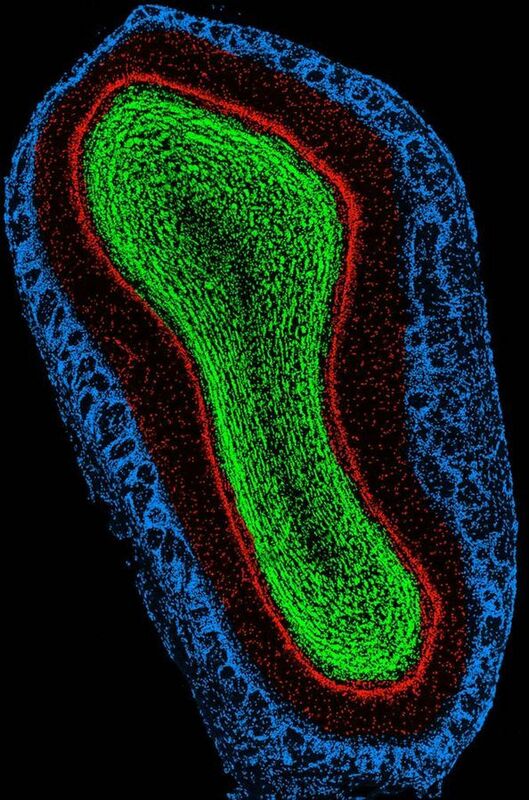 A coronal section through the main olfactory bulb of an adult male mouse. “Mouse MOB three color” by Matt Valley – Released by author. Licensed under Public domain via Wikimedia Commons. Last week I posted a link to an interesting article about how olfactory receptors are not just in our noses, as previously thought, but can actually be found throughout our bodies. Scientists have discovered that there is the potential for healing damaged skin and tissue with the application of various aromachemicals to damaged areas. You can read more about these discoveries and find the link to the article via my How Smell Works: It’s Not All in the Nose blog post. This week, another interesting article made headlines around the world, again demonstrating the powerful healing potential of olfactory cells in the human body. In this case, cells taken from the olfactory bulbs in the brain of Darek Fidyka, a 38-year-old Bulgarian man, were used to heal his severed spinal cord. Darek has now learnt to walk again and can drive a car. You can read more about this incredible finding in this ABC News article. If you want to read a little more about the method scientists used in the procedure, this article from The Guardian contains some good information. The breakthrough came after four decades of research by Professor Geoff Raisman, from the University College London, who spotted the potential of cells that repair damage to nasal nerves. The circuitry that gives rise to the sense of smell is the only part of the nervous system that constantly regenerates. “The idea was to take something from an area where the nervous system can repair itself, and does throughout life, and put it into an area that doesn’t repair itself,” Professor Raisman said. Amazing stuff! Enjoy reading and let me know what you think in the comments section below.